It’s been a little over 3 weeks since my last “This Week’s Books” post. I’m starting to think my weekly posts should perhaps be biweekly or monthly. It may be more realistic for me and make these posts more interesting since my reading list doesn’t change much over a one week period. This month, I’m going to try different time frames and hopefully figure out what works best. On to this “week’s” books. 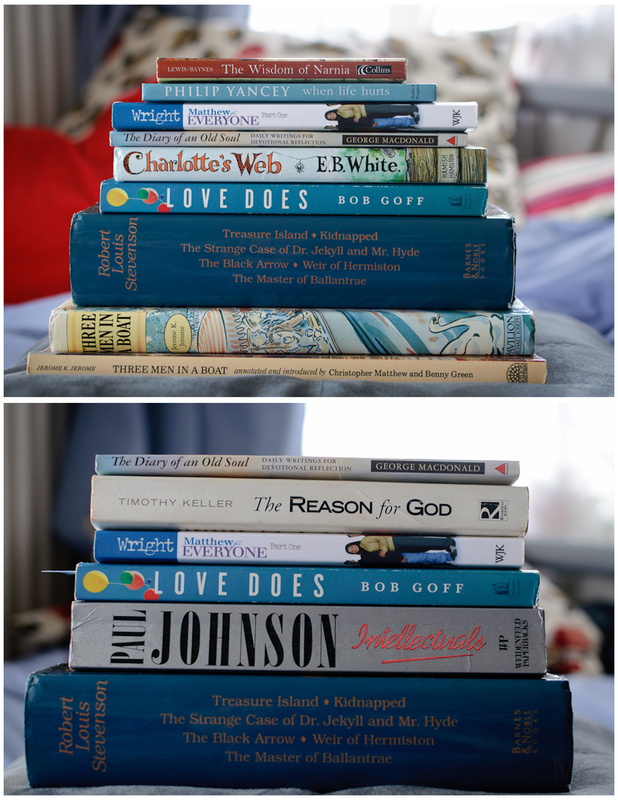 First of all, here’s what I said I would read (bottom) compared with what I actually read (top) over the last three weeks. Of the six books I said I would read, I read four. I also added four more (two of which I finished and will be posting about). I’ve also been trying to re-read The Strange Case of Dr. Jekyll and Mr. Hyde, but it’s been difficult to motivate myself, especially with the arrival of a bunch of new books that I haven’t read. I’ve discovered that re-reading a story immediately after I’ve read it is a lot harder than I thought it would be and generally not something I’d recommend. In this case, though, I’m determined to plough through it, albeit at a slower pace than I’d originally intended. Hopefully, I’ll have a post on it ready by the end of this month. In a addition to last “week’s” books (see the second picture from the top) which are staying on my reading list, here are the books I’m planning to read. I’d say I have a nice balance of UK and American authors this time around. 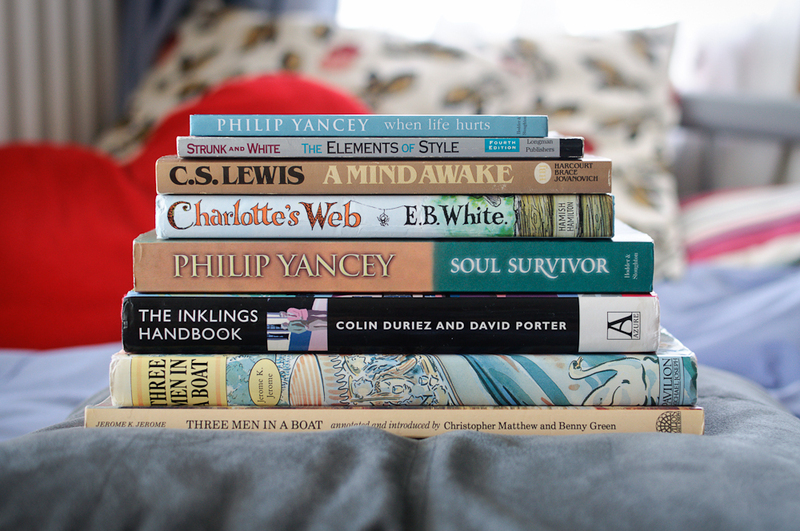 🙂 I’m especially looking forward to reading Soul Survivor by Philip Yancey and A Mind Awake: An Anthology of C. S. Lewis edited by Clyde S. Kibly. A Mind Awake has been sitting on my shelf for about half a year now but I never really looked at it until this week. I was thinking about which C.S. Lewis book to read next and took this one off my shelf, started reading it, and wished I didn’t have to put it down. I’m not the biggest fan of anthologies, but every quote I read in this one had so much food for thought. I’ve decided to go through this one as my next C. S. Lewis book and I think it’s gonna be really good.